"This is the best brown rice I have ever had." That's what many of our brown rice loving friends have to say about Gazzani Riso Vialone Nano Integrale. It is so "whole grain" it is practically crunchy with rice husk. You can do anything with this rice, you do with other rices, it just takes longer! 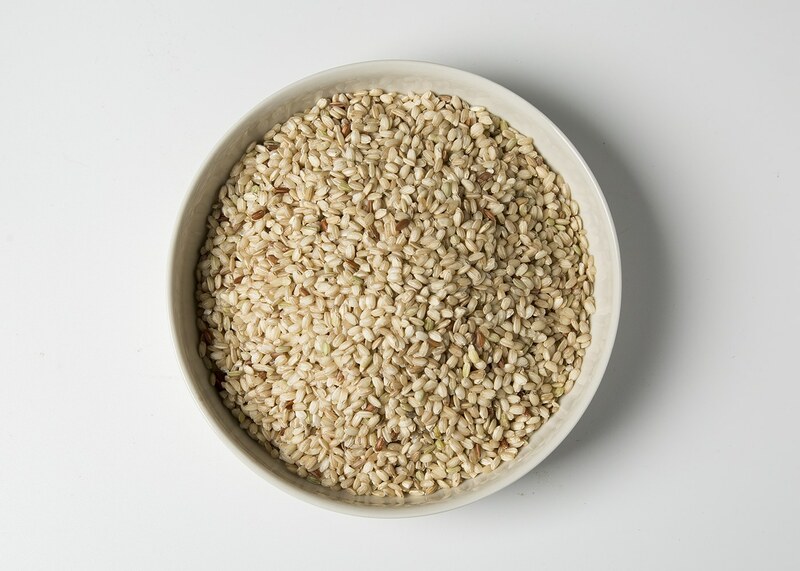 This rice, has an incredibly nutty rich flavor and a rustic texture. Vialone Nano Brown Rice is great by itself. It can be combined with other ingredients and seasonings for risottos with other rustic ingredients such as pork, veal, pumpkin, artichokes and other hearty vegetables. Since it retains its lovely round shape after cooking, it makes a great side dish for meat or fish, or a satisfying insalata di riso with olives, capers, artichokes, sun dried tomatoes, cheese, tuna, or any of your favorite ingredients!